Domains International - We sell, buy and manage domain names. Here you will find detailed information and articles on different areas of business. 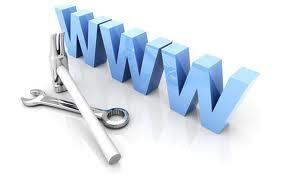 The main purpose is to help cyber users to find a name for creating their own web sites. Well, there is not only one but maybe dozens of recipes. However the first thing we have to do is open our web sites and blogs to Internet users and businessmen that has nothing to do with domain industry but want to have their own web sites. The famous recipe and worn out "domain for sale" is almost decomposed so much use was given to it. The social networks and especially the groups of domainers are filled with this recipe that has worked well in the past but is now old and outdated. Like other businessmen and entrepreneurs of different areas, the domainers urgently needs to be open to other businesses, interact with them, make them understand that a domain is not just a virtual real estate but something that can give them big dividends. However to reach buyers (whatever your business or someone looking for a web site name), is required to take a break with propaganda and instead make a balanced, informative and thoughtful marketing, which simply means more work and more work hours and mainly more detailed information about the domain or domains you want to sell. Finally, it is necessary to leave or diminish our action among domainers (and some are so unreachable and difficult that it is more difficult to interact with them than having an audience with the Queen of England) and increase our action in all business areas. We left here an example: If we have one domain or multiple domains on health category (women's health, medications, menopause, aging, childhood diseases, etc..), we have to try to promote our domain or domains with health professionals, health centers, hospitals, etc.. namely through their respective groups on Facebook, LinkedIn, in Pinterest, Twitter and others. Play the gong "Hi, this domain is for sale" is no longer a formula for selling domains but only useless propaganda, most of it directed specifically for professionals working in the domain market. The prospective buyers of domains (outside the world of domainers) did not even hear them and make a deaf ear to their blows to the gong. We are grateful for your comment. Thank you very much and hope you can return. If the comment is out of subject or offensive will be removed. Sorry. We are a small business and professionals on domain market (we sell, buy and manage domain names). However most recently we embraced the Network Marketing and Internet Advertising starting to promote some of the most profitable company websites. Listen a brief lesson by Morgan Linton, about how to start on domain business. What are Domain Name Servers? How to start an oil industry web site? Are you a college basketball player or a fan? Are you thinking to buy an EV domain? How often do you Visit your Dentist? Do you really know how to start a web site?